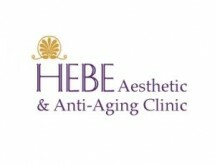 Congratulations to our tenant Dr Gabriela Mercik, HEBE Aesthetic & Anti-Age Clinic who are finalists at the ‘My Face My Body Awards 2013’ for ‘Best Clinic Team’ & ‘Best Anti Aging Product’. 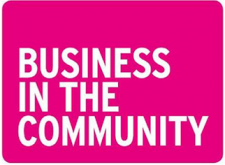 Business in the Community’s (BITC) funding and finance masterclass, which runs at Omagh Enterprise Company from 6.30pm to 9pm on Wednesday September 18, will hear from leading experts who will lend their advice and will be on hand to answer questions. Education is in the news, once again, as thousands of students receive their results and decide what to do next. Some students are well served by the system and get what they want; others are not so lucky and wonder what to do next. In both cases, it is useful to consider the purpose of education. 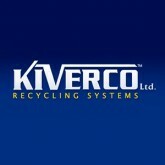 A Co Tyrone based manufacturer has struck a multi-million pound recycling deal in Britain. With only 4 days remaining until we complete our Hot 48 shortlist of winners who will go on to compete for our annual Shell LiveWIRE Young Entrepreneur of the Year award, there has never been a better time to apply for the Grand Ideas Awards! THE culture of innovation and entrepreneurship among Northern Ireland’s workforce is powering international commerce and growing the north’s reputation as a premier location for trade and investment, according to one local business leader. Shred your business & personal documents for free! “Harnessing Creativity” is a 36-month project bringing together creative experts from architecture to film, design to photography and music to technology. The project captured artists based on the cross border triangle of Leitrim, Fermanagh, Tyrone and the surrounding region. A MAJOR conference next week in the Omagh area will help local businesses and community organisations to maximize EU funding opportunities. 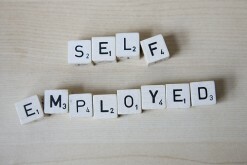 This guide explains the consequences of, and the legal requirements for, setting up as a sole trader. You will find out how to meet your tax responsibilities by filling in your Self Assessment tax return each year and paying your tax and National Insurance. Last week Jeff Bezos, the founder of Amazon, bought the Washington Post in a move that surprised the newspaper world. The initial shock turned to welcome for a man who many believe understands the core values of the newspaper and will bring a desperately needed new business model to the industry. Shorts Steps 2014 is a short film development scheme aimed at indigenous entry-level and emerging creative talent. 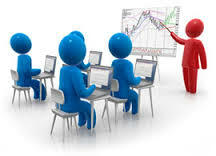 The scheme is aimed at those who have not previously participated in this programme. 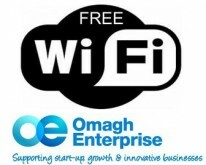 Want to make a difference to your community in Omagh? Would £5,000 help? 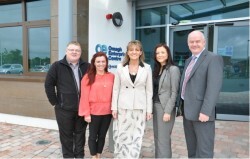 If so, UnLtd – The Foundation for Social Entrepreneurs and Omagh Enterprise want to hear from you. What is it that makes a good boss stand out from his or her corporate colleagues and rivals? 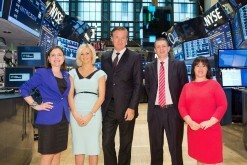 ‘Thrive’ is a half-day conference celebrating the success of Northern Ireland’s creative industries.